Earth is calling…or maybe not!? In a new Discovery Channel series, Stephen Hawking has answered the question that has plagued scientists for years. In his mind it is totally logical to assume that aliens are out there and that we should not invite them over here. The reason why there has to be extraterrestrial life is the sheer number of galaxies in the universe and the resulting huge number of planets in every single galaxy. Somewhere there has to be life. Hawking admits that this life can be in the form of microbes and small animals, but he is adamant that there can also be intelligent life and that these aliens can be very very dangerous for us Earthlings. They might be on the hunt for resources or space to live in and might be far advanced from us. For hundreds of years the idea of extraterrestrial life has challenged astronomers, because the sheer assumption leads to a whole plethora of philosophical relevant questions. First of all, would we not have to change the term “alien” and apply it exclusively to extraterrestrial life? Nick Clegg might not agree with that, because he would be as afraid of these aliens as he is of the human ones. 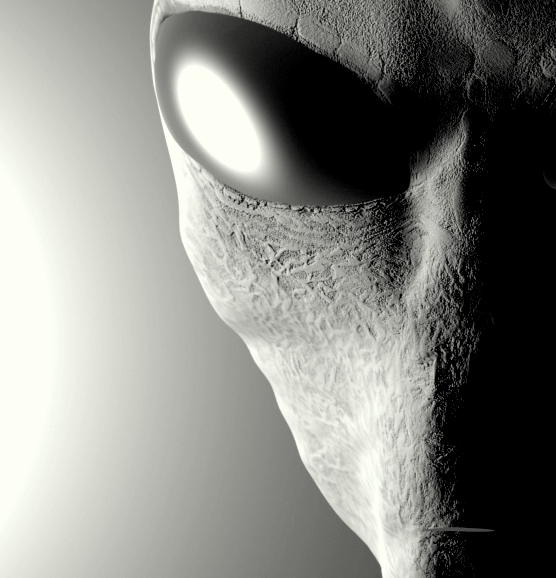 But for the rest of us it is an interesting question if an extraterrestrial alien can ever be “legal’? Or if they are human at all? Do we have to treat aliens the same way we are supposed to treat each other? But what happens if they do not have a philosopher like Kant but only one like Nietzsche? Can we assume that they understand our logic and how universal is logic anyhow? Maybe they can solve our ethical dilemmas, because they know more then we do? Maybe they even know that God does or does not exist and there would be no need for Churches anymore, especially those that are not able to treat humans correctly anyhow. Kepler, at the turn of the 16th Century already questioned whether God could play the role we say he does if there are so many other galaxies out there. Hawking warns us of looking for contact with aliens, but it is not clear if we can avoid that contact. If it is unavoidable, we might learn a lot, maybe about them but maybe even about ourselves. News and updates about the discussion at timesonline. I’ve been thinking about this phenomenon of people thinking that there is a dark side and a good side to everything, where did this nonsense come from? Perhaps the universe is divided into matter and anti-matter, that is about the only evidence of a binary nature to anything outside of human thought. Quarks do not come in 2 opposites, male and female are simplified designations. Star Wars is not real, batman isn’t real, people don’t pop out of their mothers fated to be good or bad because there is a dark and light side of the force. I’m not saying some scientists have an inclination to think that there are evil aliens out there, but that is exactly what it looks like. How would savage civilizations even exist with technologies that gets them to other solar systems? The only answer I can think of is that they are like humans and had to leave their planet because they were so fucked up like us that they destroyed it. BUT, chances are they have been travelling for so long they are way beyond needing human slaves or our resources, and have since learned that the only way to exist at all is to be peaceful. Humans are pathetic, we can’t even share the resources to feed all humans, I just don’t think that sort of greed and violence is viable once we have a higher level of technology. So yeah, there is no way galactic travelers are as fucked up as us. Its not even a question that if a bunch of aliens decided to migrate to our little marble we would figure our morals out real quick, they beat us in technology so no contest there, our last resort is what eastern philosophy has been saying for a long time, treat sentient creatures with love and respect. Previous Previous post: Interview: What Is Nanotechnology and Why Does It Matter?